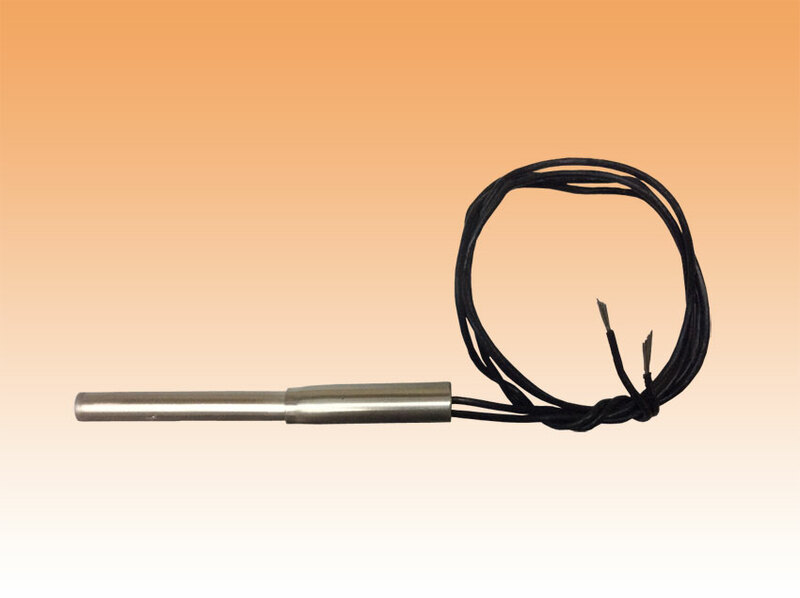 Cartridge heaters are recommended wherever the performance of cartridges is not fully needed. In construction, the same materials used in are used, though manufacturing technology is simpler, due to lower watt density, and therefore the whole process is more economical. Cartridges have one or more U-bent spirals in a cartridge core of compacted magnesium oxide, with the spirals nearer to the axis of the cartridge than in heaters, as heating power is lower and thermal conductivity of compacted magnesium oxide is highly sufficient to spread heat, therefore with total reliability and safety even in extreme work conditions. Due to their simple construction, cartridges are perfect for being shaped in various ways for the application needed. They can have cold sections at ends, and/or with differentiated watt densities or independent circuits for separate sections. Efficiency and life of heaters, as for all electric heaters, depend on proper use. When the purpose is to heat a metal object, the hole that is to house the cartridge shall be manufactured with the strictest possible tolerance and minimum clearance (please also check cartridge diameter tolerance on the data sheet). The smallest the clearance, the higher the heat exchange, the lower the cartridge temperature and therefore the longer the life of the heater. -A higher number of heaters can be used, therefore with lower watt density and heat exchange. -A lower wattage can be used, while extending the heating-up time. -A shorter life of the heaters can be accepted. Cartridges can be used instead of Supermax cartridges. Heaters are normally used in practically any cartridge heating application, depending only on the watt density needed. Their most typical applications, though, are those in which a long element with medium watt density is required, and in particular in welding bars for thermoplastics, press plates, dryers, defrosters, etc. Also typical is the application in the heating of gases and liquids or of small metallic bodies, as well as in relatively progressive heating. They are used as single heaters, in batteries, and quite often with threaded mounting fittings. Cartridges can incorporate a variety of options that include built-in thermocouple, special cable protections and special outlets, in both shape and construction.